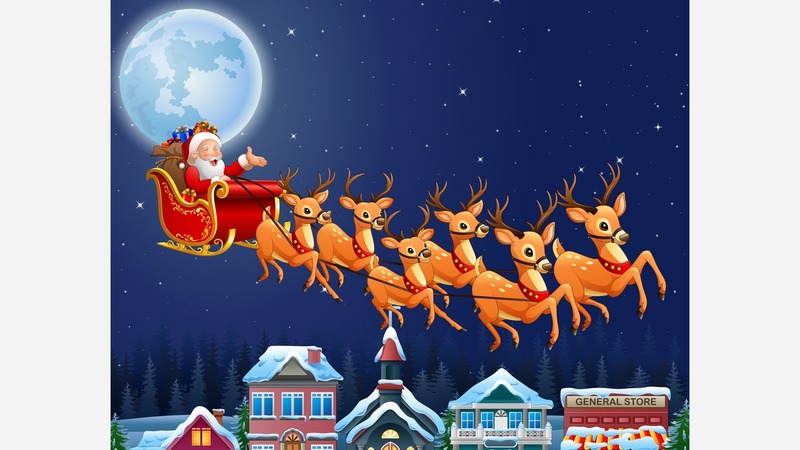 MINOT, N.D. -- The U.S. Air Force says its tweet declaring Santa Claus "isn't real" was just a bluff, part of a threat to steal Christmas from two feuding bases. Minot Air Force Base in North Dakota and Whiteman Air Force Base in Missouri jostled on Twitter about which fleet was better. KFGO radio reports the official Air Force account responded that if the bases couldn't get along, Santa would "bring you nothing this year because he isn't real!" After the tweet generated widespread ridicule, the Air Force reversed itself. It declared Santa in fact "is real" and that the previous message was just an attempt to get the bases "in line." The Air Force stressed its North American Aerospace Defense Command tracks Santa's Christmas Eve sleigh travels using satellites, radar, and jets.